The Buhari Media Support Group (BMSG) commends Igbo leaders and Governors of the South-Eastern Zone of the Federation for their recent Enugu meeting, where it was agreed that the option of dialogue would be explored between the Federal Government and pro-Biafra agitators like the MASSOB and IPOB. 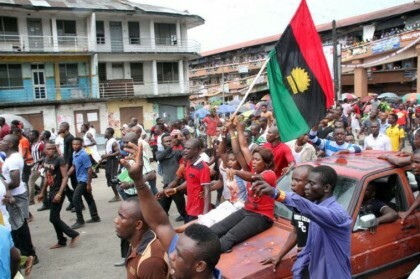 In a statement released and signed by Mallam Labbo Mohammed and Cassidy Madueke, said BMSG notes that the Pro-Biafra agitators had crippled economic activities in some parts of the South-East and South-South Zones of the federation while protesting the detention of the IPOB leader, Nnamdi Kanu, and their marginalization. The BMSG further notes that President Muhammadu Buhari had been in power for only six months and could not be held responsible for the neglect of the zone over the last 16 years of the PDP administration. BMSG recalls the words of the late British Prime Minister, Sir Winston Churchill, that: “It is better to jaw-jaw than to war-war”, adding that it is expected that the agitators would utilize these windows of dialogue being facilitated by the South-East Zone leaders to formally table their grievances before the Federal Government. “We urge all Igbos to have faith in the administration of President Muhammadu Buhari, who has pledged his commitment to be just to all sections of the country when he said, ‘I belong to nobody, and I belong to everybody,’ “.